Go To Shell – Page 6 – A blog for lovers of seashells, salt air and sandy feet. 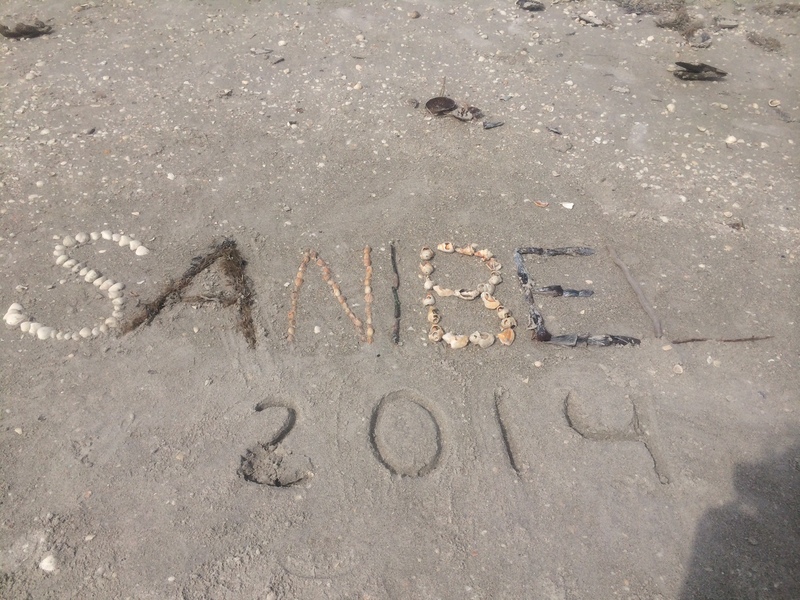 Sanibel 2014 written in the sand. Happy New Year, shellers! May this year bring you every shell you’ve ever dreamed of. Maybe this will be my year for a junonia? You, too? Here’s to hoping and wishing! But seriously, from my family to yours, I wish you health, happiness, and a worry-free year. God bless us, everyone. 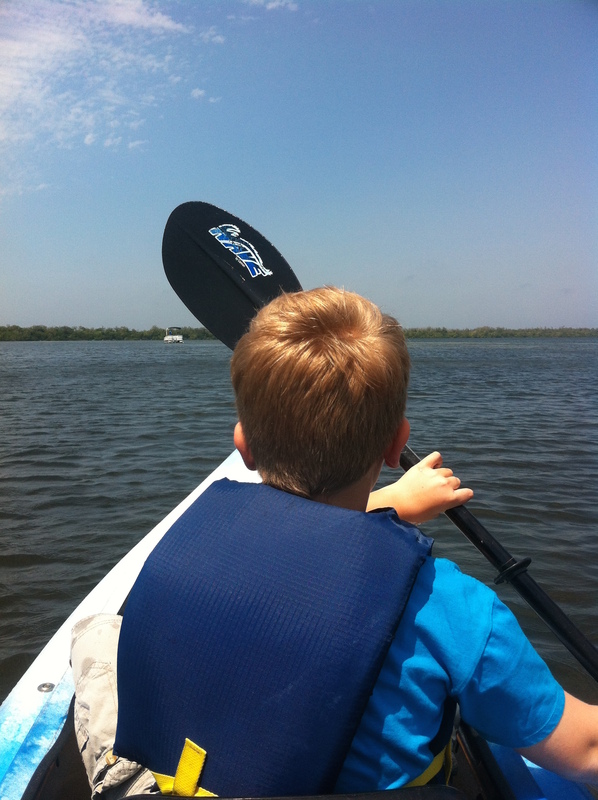 If you’re looking to go kayaking on Sanibel, check out Tarpon Bay Explorers. 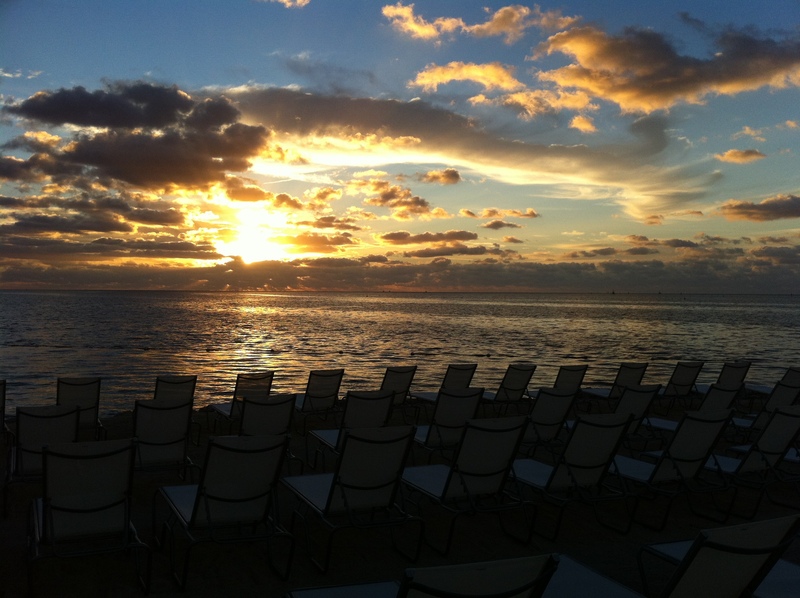 Besides having a fantastic little gift shop filled with everything from wind chimes and jewelry to clothing and home goods, you can rent kayaks, sign up for a sunset or dolphin cruise, or take a guided tour on the water. You can find all their rates online at their website, TarponBayExplorers.com. It was about $25 for two hours in the kayak. That was plenty of time for me and my little man. Just remember, any shells that you see while in the Refuge (J.N. Ding Darling), you can’t keep, even if they’re empty. 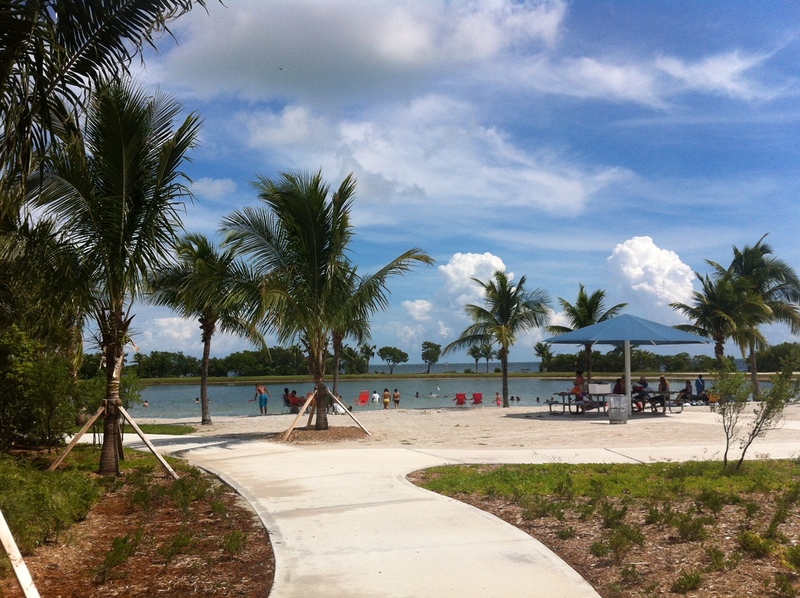 Have you been to Bayfront Park in Homestead, Florida lately? They have done some major improvements, including a new walkway, lots of palms and there is a restaurant onsite called the Playa Grill. I didn’t find any shells as I walked along the water’s edge, but I did have some good fish tacos at La Playa. They also serve other Mexican dishes, like nachos, burritos, enchiladas, and they serve beer and wine. 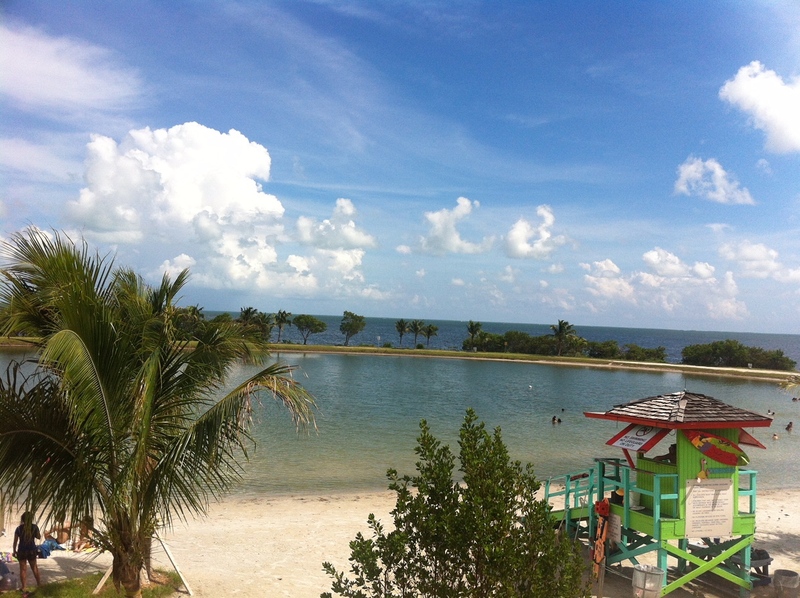 Homestead Bayfront Park is inside Biscayne National Park. After you pay your entrance fee at the booth, continue to go straight. If you turn left, you’ll be at the welcome center of Biscayne National Park. I just love when I stumble upon sand art like this. These two were basking in the sunshine on Middle Gulf Drive on Sanibel. Thank you to whoever created these! I love them! 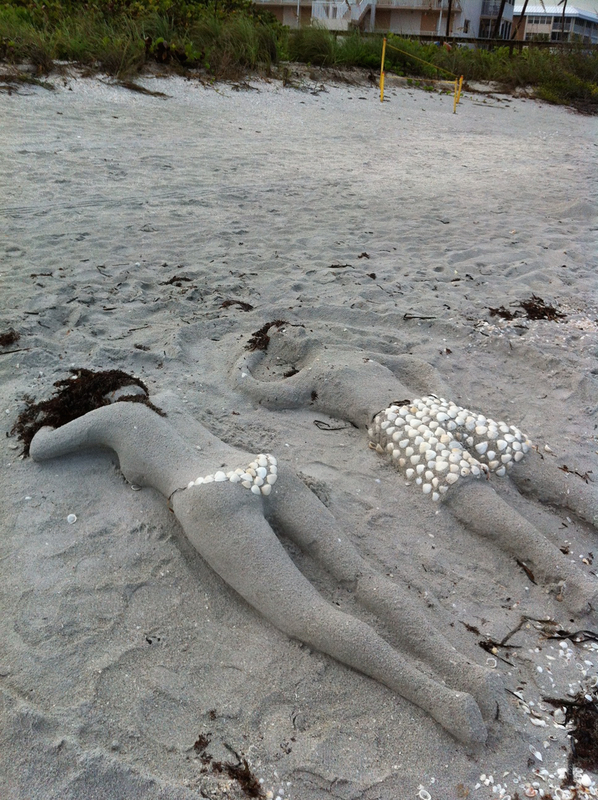 sand art of a couple sunning themselves. 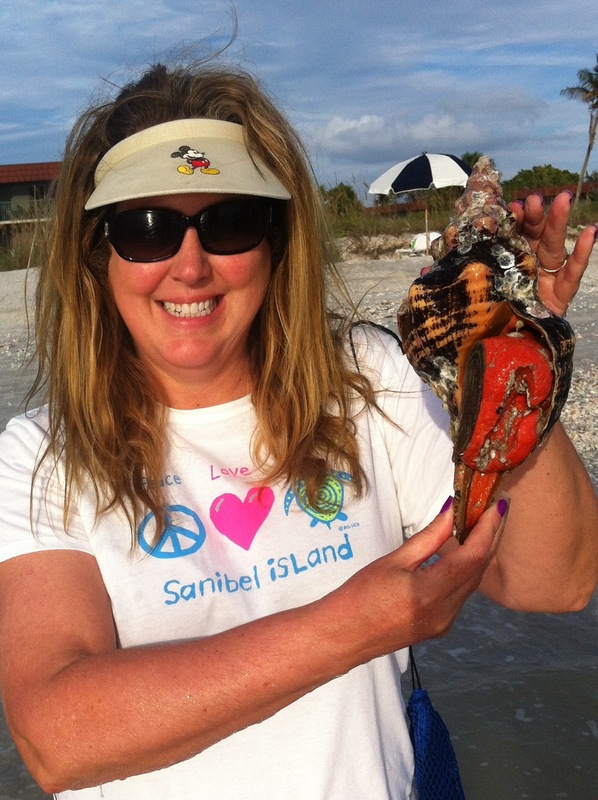 I got a warm whelk-come to Sanibel this morning. 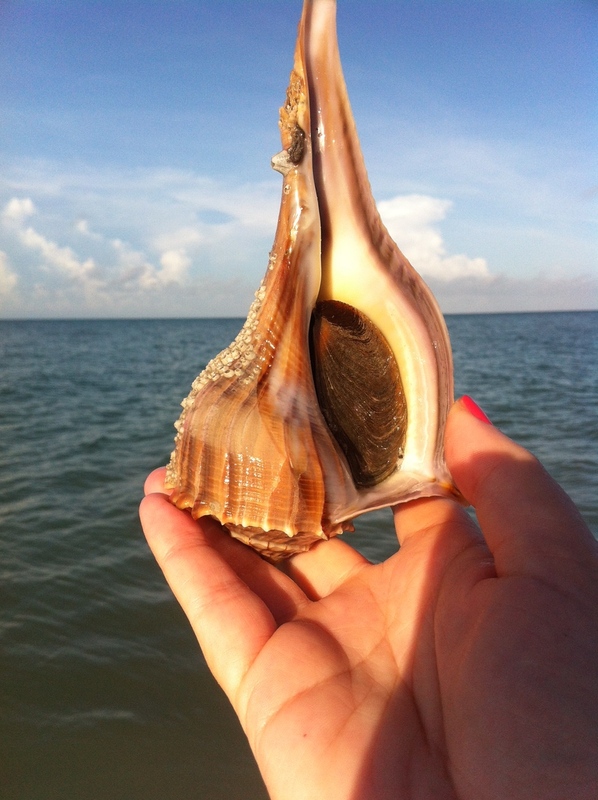 This lovely lightning whelk was in the water near shore at low tide at Blind Pass on Sanibel. Unfortunately, as you can see, it was occupied by a critter, so I had to put it gently back in the water. As you know, it’s against the law to keep live shells in Lee County. Florida law states that you can keep live shells in every other county IF you have an offshore saltwater fishing license. Do you keep live shells where you are? Yes, or no, I hope you can go to shell soon! Islamorada sunrise from the Postcard Inn. Spent a weekend in the Keys, Islamorada to be specific. I stayed at the Postcard Inn which is right on the Atlantic ocean. The views were amazing and the sunrises were even more spectacular. This is the location of the former Holiday Isle. If you grew up in South Florida as I did, you probably spent many a day or night at Holiday Isle. I can’t drink rumrunners to this day (I tried to have all my weekend fun in one night, paid for it)! 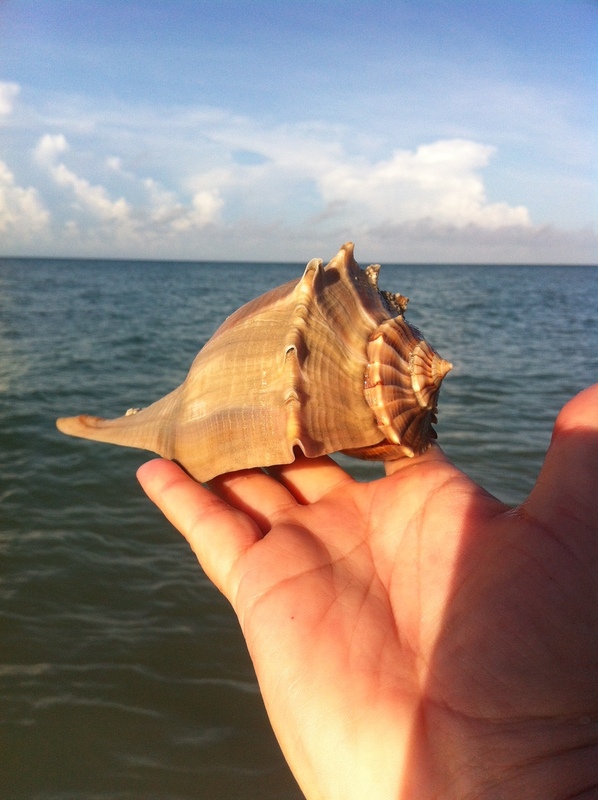 Anyhow, I haven’t found any shells yet, except for a queen conch shell right off the shore which was occupied. But I don’t think you can take conch shells in the Keys regardless. I’ll keep looking and keep you posted. Hi. Here’s a quick intro. My name is Jill and I’m a seashell freak. I love them. I especially love to hunt for them on the beaches of Southwest Florida (or anywhere for that matter). No, I don’t keep live shells. I take a photo of them and gently put them back. I live in South Florida so I frequent the beaches down this way, from Miami and Islamorada to Marco and Siesta Key. So, if you’re a shell lover like me, follow my blog! I’d love to hear about your finds, too. I’ll be writing about the different beaches where I shell and what folks are finding there. I’ll also be writing about where to stay and play while you’re in the area. If you have questions, just ask. I’m on twitter @FlaFamilyGuru (trying to get gotoshell at the moment)! Stay tuned. That big horse conch in the photo was found right behind the West Wind Inn on West Gulf Drive on Sanibel. He went back in the water after his photo.